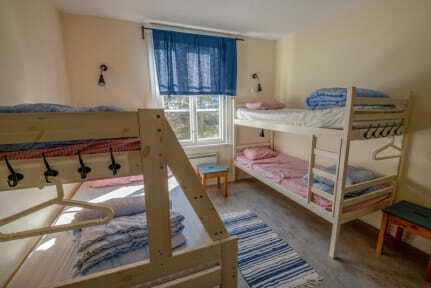 Hostel Utö is 6 minutes walk from the beach. 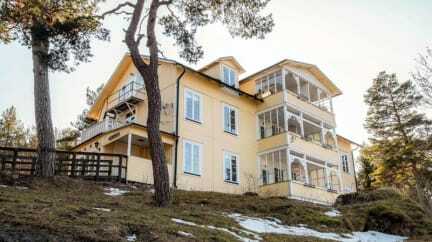 This seaside hostel is in the Stockholm Archipelago, in Utö Island’s nature reserve. Set in a late 1800s building, it offers free WiFi, 2 shared kitchens and 2 restaurants. Hostel Utö's guest rooms have functional décor. Toilets and showers are shared. Located in separate buildings, Utö Värdshus and Seglarbaren serve Swedish dishes for lunch and dinner. Snacks and light dishes are available at the Backfickan bar and night club. Guests can relax and chat with other guests in the common room, which features a TV with DVD player. Leisure options include mini golf, a playground and a bookable tennis court. Bikes, canoes and mopeds are available for rent nearby.